I’ve shared with people over the years my passion for finding a cure for Type-1 diabetes. I have two very good reasons. My oldest daughter Madison was diagnosed at the age of three, our other daughter Emerson was diagnosed at twelve. Two children. Two lives filled with constant blood sugar monitoring and insulin injections. For more than a decade my family and I have been active within JDRF to help raise money to find a cure for Type-1 diabetes. This year my family is joining the Fox 9 family to form a walk team called OutFOX Diabetes. 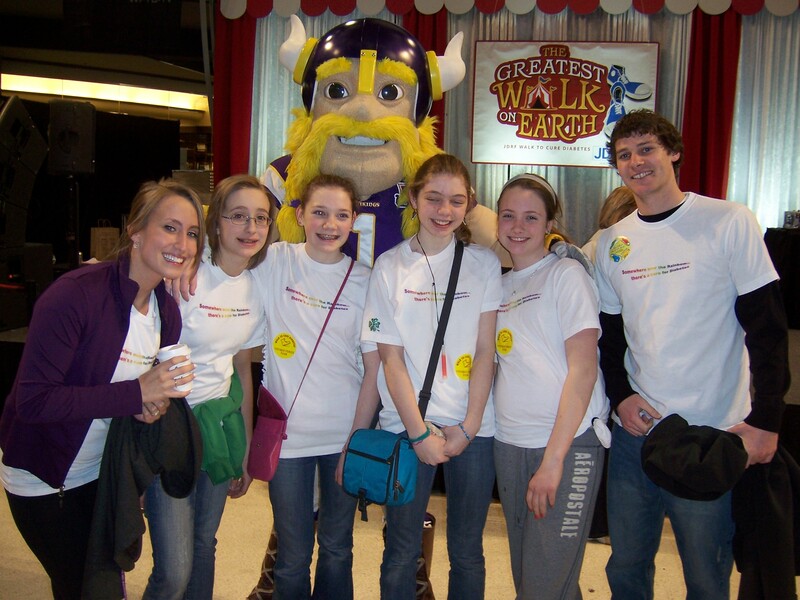 The Walk takes place February 25th at the Mall of America in Bloomington, Minnesota. We don’t necessarily need walkers, but we need supporters. If you’d like to be a virtual walker with us, click on the hyper link and make a donation to our team. We are making incredible progress toward finding a cure. Last year JDRF spent $116 million on research and much of it is producing encouraging results. We are grateful to all who have helped in the past and continue to support the search for a cure. ← Can Google Predict the Minnesota Caucuses?